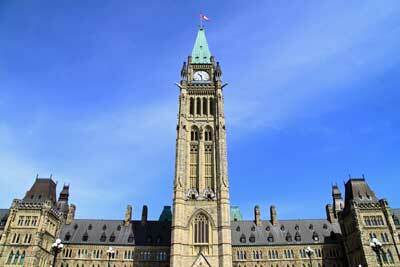 The federal government has been busy touting the benefits of proposed Bill C-69, the Impact Assessment Act. Here is a look at what specifically is being discussed by the Canadian Environmental Assessment Agency around changes to how natural resource projects may soon be assessed. Some of the proposed changes revolve around increased transparency and certainty that project decisions will be based on science, evidence and Indigenous knowledge; the inclusion of more Indigenous leadership opportunities and partnership in project reviews; more assessment of a project’s impacts to foster sustainability, rather than only environmental factors; more coordination with provinces to support one project one assessment and avoid duplication; and more predictable and consistent timelines. The proposed legislation would also disband the National Energy Board, replacing it with a Canadian Energy Regulator and an Impact Assessment Agency to measure how best to mitigate environmental impacts from proposed developments. “Integrated review panels would involve federal regulators co-operating with other jurisdictions, making it possible to have one project, one review,” the Canadian Environmental Assessment Agency said on Twitter on March 6. The new Act also aims to lower the timeline for major projects from 720 days to 600. However, it also creates 180 days for early engagement of stakeholders like Indigenous communities. Bill C-69 currently sits under study by the Standing Senate Committee on Energy, the Environment and Natural Resources. When the Bill was under review in the House of Commons in the summer of 2018, Ecojustice, a West Coast-based group of environmental lawyers, claimed the legislation was making a step forward for environmental project reviews. “The Environment Committee worked hard and made important improvements to the Bill, which we were pleased to see adopted in Parliament,” said Joshua Ginsberg, Director of Legislative Affairs at Ecojustice. “The amended bill will improve transparency in environmental reviews and mandate that Canada’s climate obligations are factored into decisions,” he blogged on the group’s website. The Canadian Environmental Assessment Agency has also been touting the idea that the proposed legislation would help companies consider whether they are using the best available technologies and practices to reduce impacts on the environment. However, in response to the federal government’s marketing of the proposed legislation online, there have also been many detractors. Toronto Sun columnist Greg Rickford last week described Bill C-69 by writing that it would have negative impacts on both the industries of mining and nuclear power due to over regulation, slowing the economy as a result. Last month, Alberta Senator Doug Black claimed that Bill C-69 has a hidden motivation to essentially stop production in the oil sands, while many other critics have categorized the Bill as a marker for the end of pipeline developments in Canada. Learn more about the new Impact Assessment Act from expert speakers and Ministry staff by attending the CANECT course “Navigating the Federal and Provincial EA and Permitting Processes: A Guide to the New Rules” on May 9, 2019 in Vaughan, Ontario. Click here to see course details and speaker information.